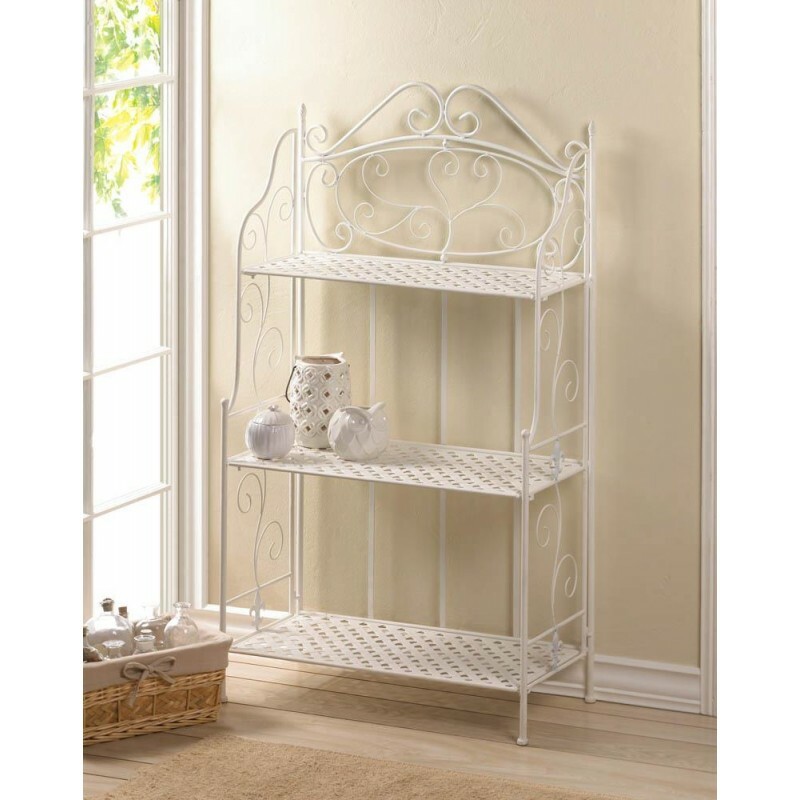 Add style and organization to your room with this beautiful white baker’s rack. It features three basket weave shelves, scrolling flourishes for added style, and a few fleur-de-lis accents that are the perfect finishing touch. 26.8" x 13" x 48.4". Iron.